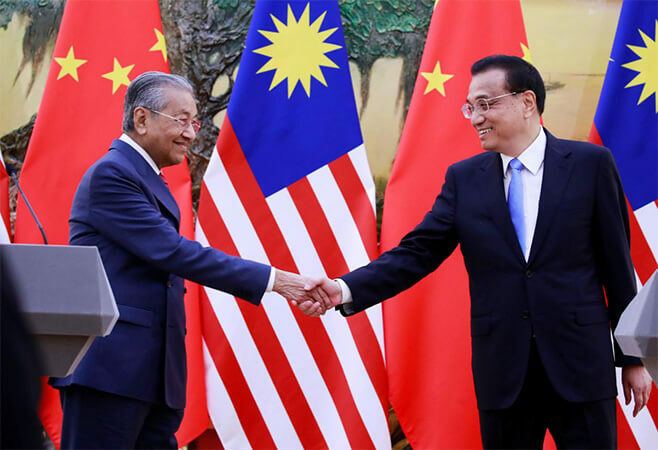 BEIJING (Aug 20): Malaysia and China's friendly long-term diplomatic ties are "far more important than the current problems" between the two nations, said China's Premier Li Keqiang. 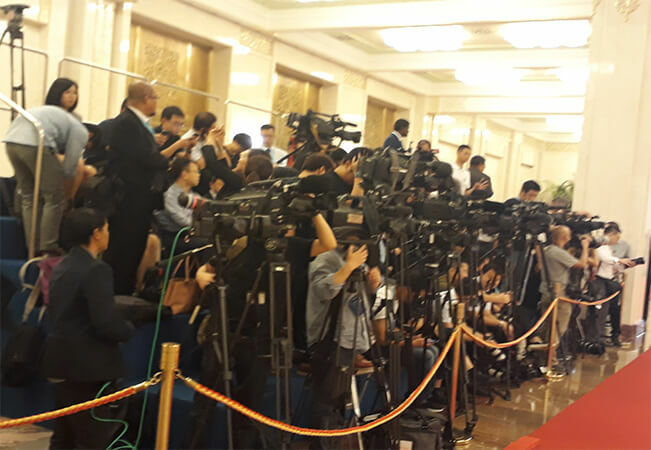 Speaking at a press conference after the official dialogue with Prime Minister Tun Dr Mahathir Mohamad this morning, Li stressed that China's intention is to maintain a warm diplomatic relationship with Malaysia moving forward. Li said there is a common belief between the two governments, which is to work out a win-win diplomatic relationship that would benefit the countries and their people. "We wish to affirm a friendly relationship with Malaysia. There would be mutual benefits in doing so. "We want to further enhance Sino-Malaysia diplomatic ties to a higher level and new areas with new dimensions in practical cooperation, for example, in the traditional manufacturing industry to technology innovation," Li said. "China is ready to scale up the bilateral trades (between the two countries), to increase the size of trade and to make sure (both countries have a) greater balanced bilateral trade relationship," Li added. Li announced that China is "ready" to import more Malaysian competitive goods that meet the Chinese consumers' demand. Palm oil products and unique agriculture produce are among the items to be considered, he said. Several memoranda of understanding (MoUs) were signed after the official dialogue at the Great Hall of the People here this morning. Malaysia's Ministry of Agriculture has entered into an MoU with China's Administration of Customs on the protocol of inspection and quarantine requirements for the export of frozen durian from Malaysia to China. Malaysian Palm Oil Board director general Datuk Dr Ahmad Kushairi signed an MoU on technology development and promotion of Malaysian palm biofuel in China. Meanwhile, the Malaysian Rubber Board inked an MoU on collaboration in the areas of rubberised bitumen road technology and rubber tapping automation and mechanisation. Bank Negara Malaysia Governor Datuk Nor Shamsiah Mohd Yunus signed the extension and amendment agreement regarding the Chinese yuan/Malaysian ringgit bilateral currency swap arrangement between Malaysia and China. Meanwhile, the Securities Commission Malaysia signed an MoU on accounting and audit cross-border regulatory cooperation.